Tokyo much? 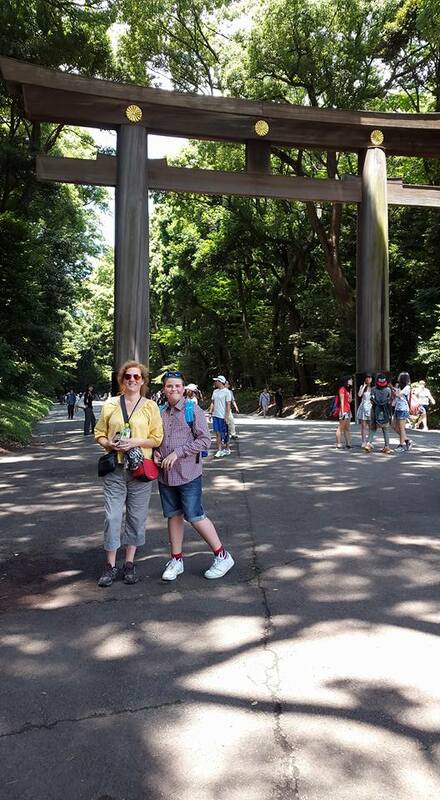 Harajuku and Meiji-jingu – Travel Much? Have you heard about Harajuku girls? Harajuku is a district in Shibuya, Tokyo, and an important center of Japanese youth culture and fashion. Young people come here dressed up as figures from comics, books or games (Cosplay) or even masking as celebrities. If you are on the lookout for a really unique outfit, I am certain you will find one in the pedestrian street Takeshita-dori or in the adjoining streets. 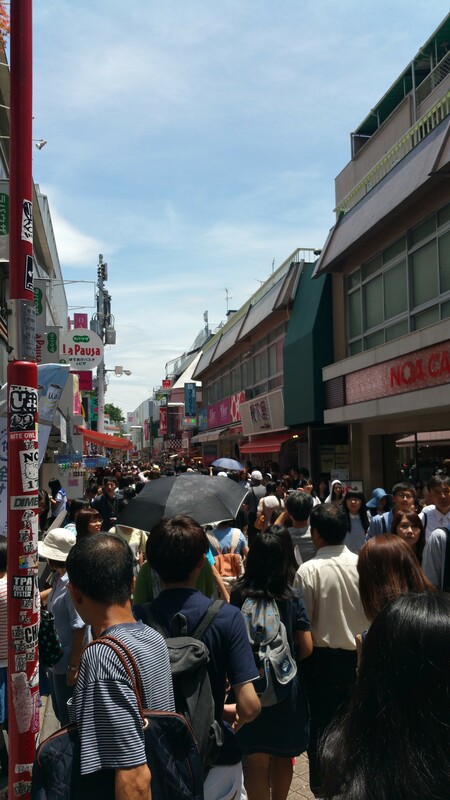 Takeshita-Dori was very crowded with more tourists then Harajuku girls. It was indeed a fun experience, but if you are suffering from enochlophobia (fear of crowds); you’d be well advised to stay clear of this particular street. Serious, this street is like a friggin Circus! It was very hard to cross this pedestrian street to look at the stores on the opposite side, so the solution is to walk up on one side and down on the other side. That way you get all the stores on Takeshita-dori covered. I cannot write about Harajuku without mentioning that they do speak English, just not extremely well. You could see the panic in their eyes when they were spoken to in English, but with a great big smile and some body language, you will help them get past the panic stage and move into some sort of communication. They are very sweet and helpful. 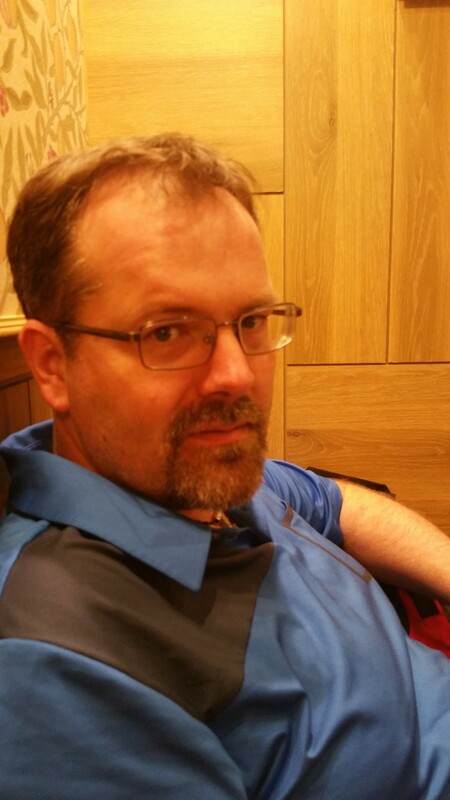 I would have bought the T-shirt below – had they carried anything resembling Nordic sizes. 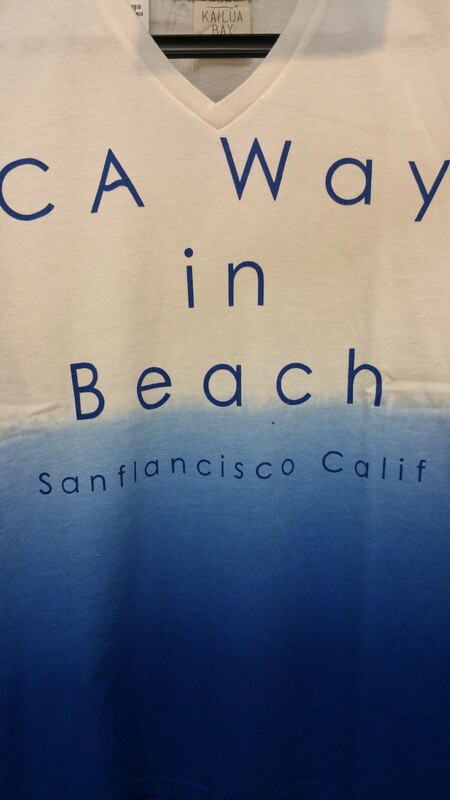 If this is a mistake, then it’s funny. If it’s self-irony, then it’s hillarious! 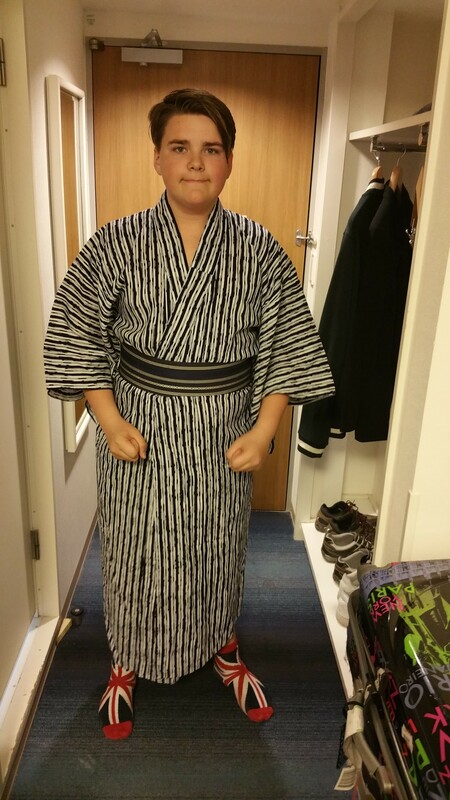 The Karate Kid posing in his newly bought Yukata, an informal summer-kimono. 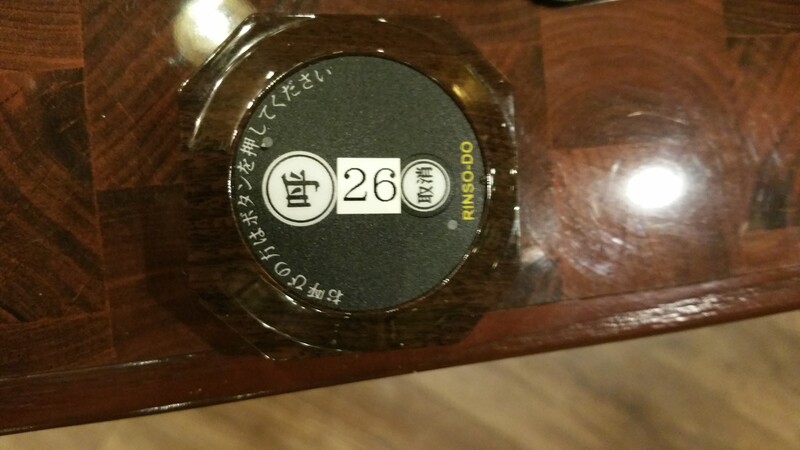 At a coffee house in Harajuku we found these buttons on our table (see pic below). We did not get what these are for. When no one showed up to take our order, we slowly started to realize that we might be expected to make a first move – via these funky looking buttons. Old Mamasan being both the oldest and the wisest (and technically also the closest) gently pushed the smallest button. And we waited. Nothing happened. We discussed whether or not to try the other button, and again by being both the oldest and wisest (and still the closest, but that was hardly the reason), Old Mamasan tried the bigger button. Whatayaknow! Suddenly our table number lit up on a screen and promtly a waiter was beside our table ready to take our order. Lesson learned: Don’t be shy. Don’t be timid. Go big or go hungry! A hungry Sir Nerdalot who also didn’t get the buttons. 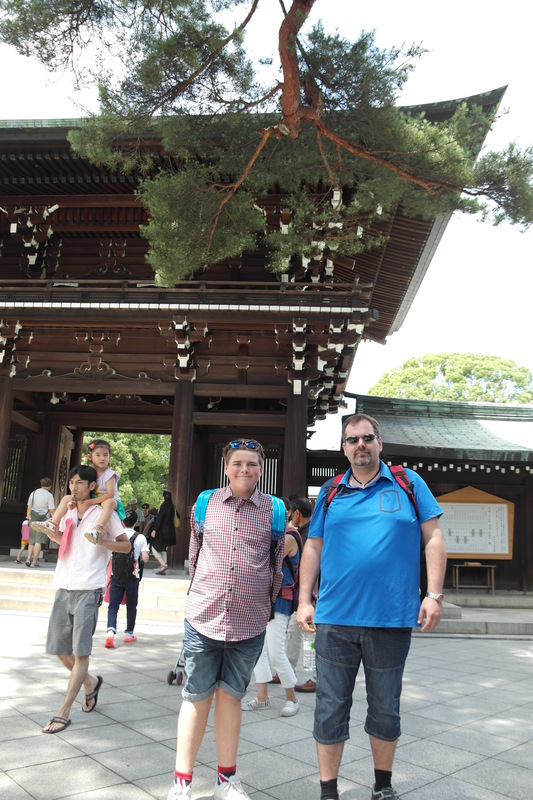 The Meiji shrine is a Shinto shrine dedicated to the Meiji Emperor and his wife’s souls. Shinto means “Way of the Gods”, and practices have been found described in texts from around year 800. Shinto holds many different elements and is strongly influenced by other Asian religions and philosophies. Up until the Meiji Restauration, Shinto was closely related to Buddhism. 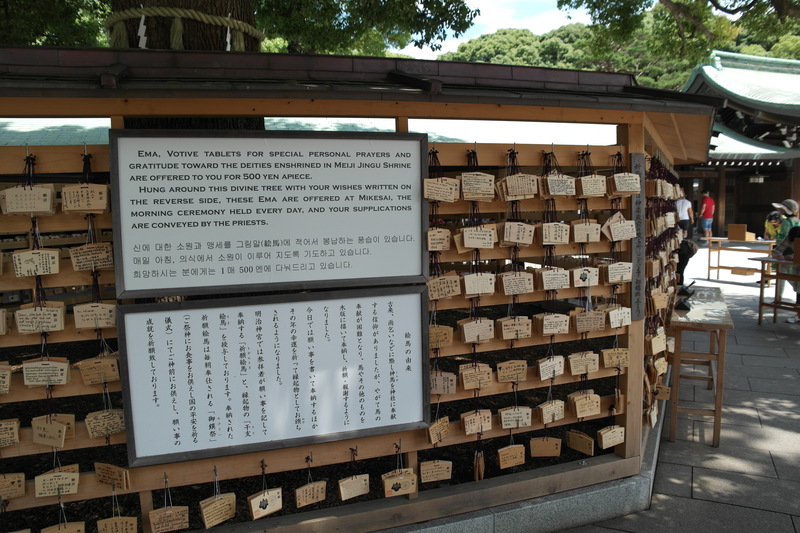 These are “prayer-cards”, you write a prayer on a card and hang it on this board. For 250 years before Emperor Meiji came to power, Japan was ruled by a feudal regime called the Tokugawa Shogunate. The Shogun was the country’s real ruler, and the Emperor’s powers were solely symbolic. In the hierarchy below the Shogun followed Daimyo (Nobles), Samurai (warrior class), farmers, craftsmen and at the very bottom; merchants. The Nobles and the Samurai ran an isolationist policy, and Japan was during this reign falling behind the rest of the world both technologically and socially. Mutsuhito (b. Nov 3, 1852 in Kyoto. D. Jun 30 1912 in Tokyo) was Japan’s Emperor from 1867 until his death. He is referred to as the Meiji Emperor. Meiji means “enlightened peace”. One year after the Meiji Emperor ascended the throne, the last Shogun of the Togugawa dynasty lost his power. The old feudal regime was abolished by the introduction of a new constitution in 1889. The Meiji Restoration that followed Mutsuhito’s takeover was marked by a strong westerly oriented modernization and development, yet was clearly nationalistic. Japan became a significant industrial and naval economic power. 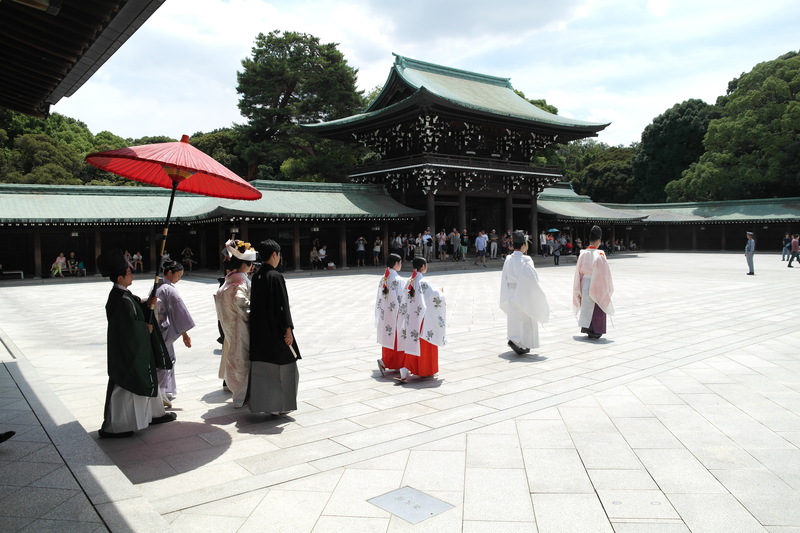 After the beloved and popular Meiji Emperor’s death in 1912, the building of the Meiji shrine started, in large part through voluntary contribution. The original building was ruined during WW2, and the current building was opened in 1958. 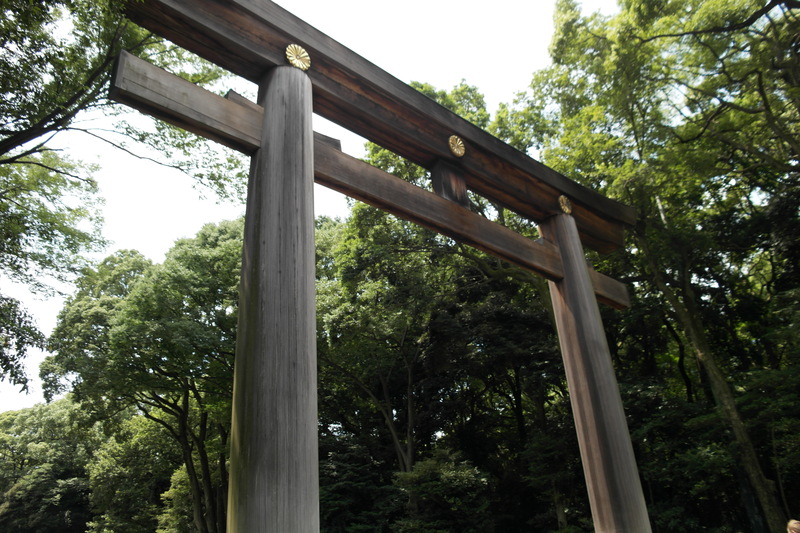 Meiji-jingu is one of the most famous Shinto shrines. 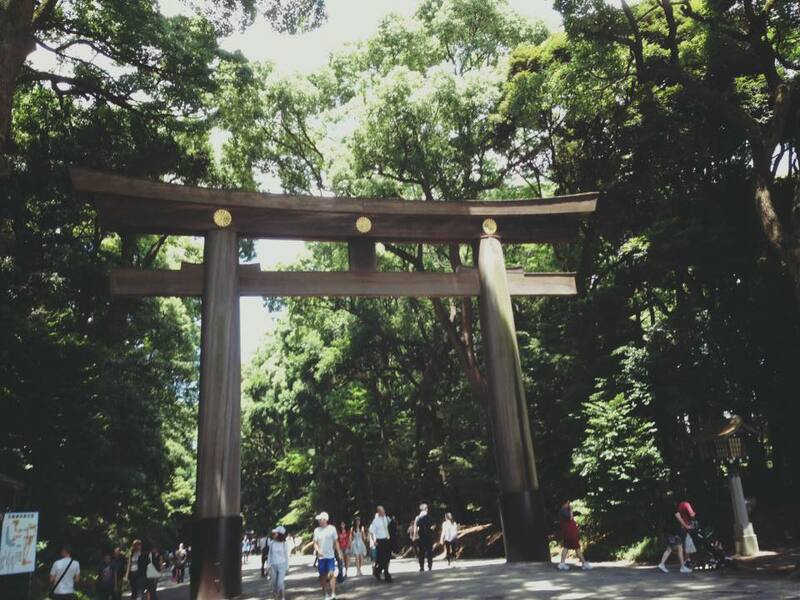 The Meiji-jingu is placed in a vast park/forest with several «Torii» leading up to the shrine. 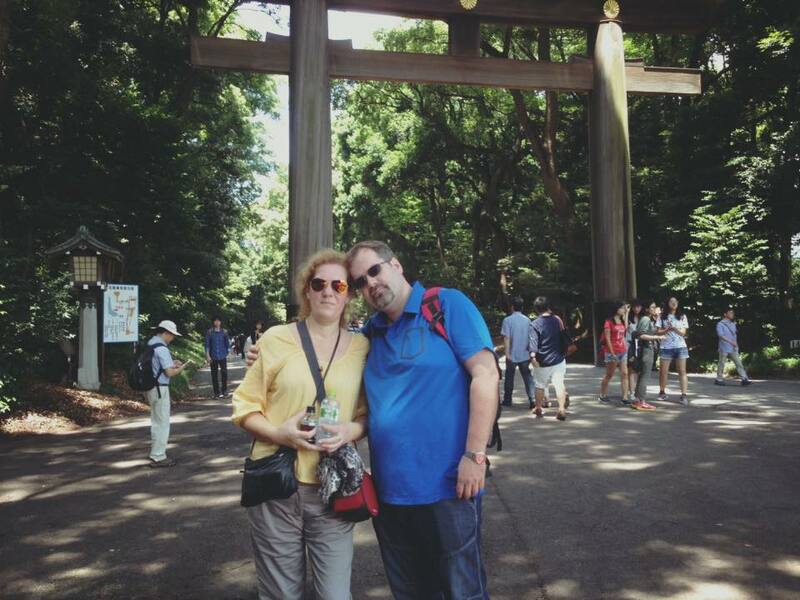 Torii is a traditional Japanese portal which marks the entrance to a shrine or hallowed land. It represents the division between secular and sacred, and stands as a reminder that one should ritually cleanse oneself before stepping onto holy ground. In some cases you pass under several Torii as you approach a shrine, representing the increased levels of sanctuary as you approach the shrine. 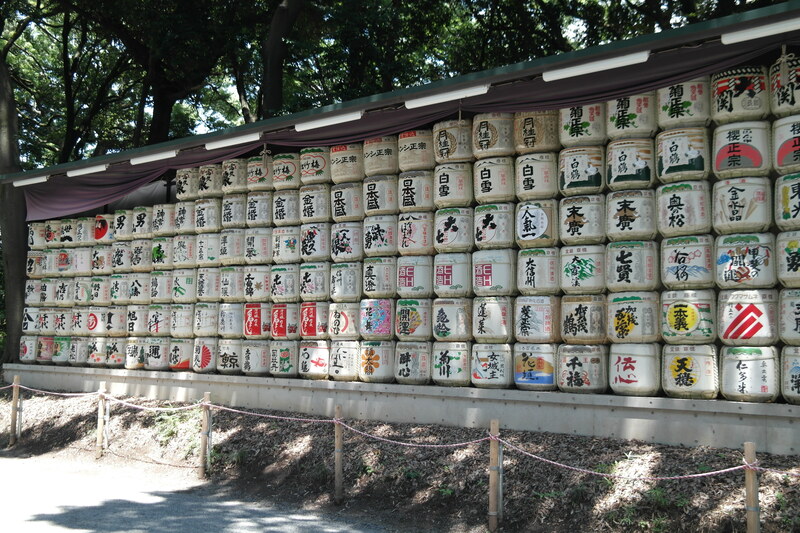 Between the entrance and the Shrine you find huge stacks of decorative sake barrels, kazaridaru. 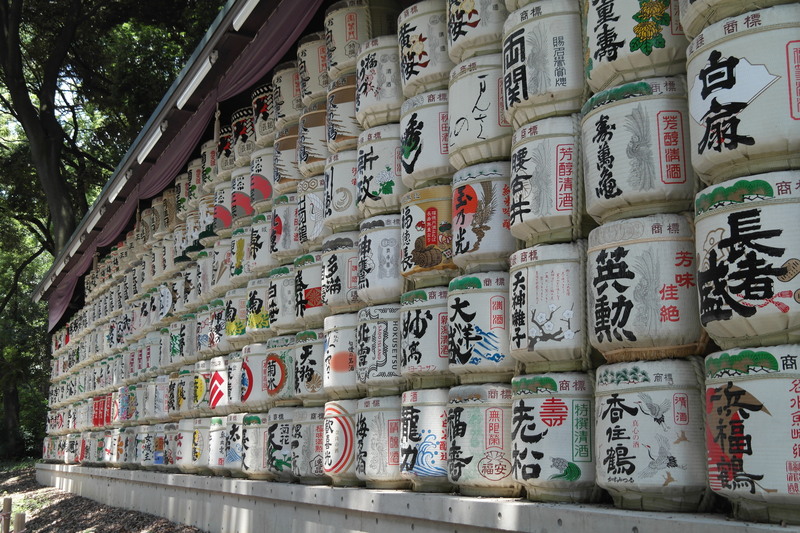 Traditionally sake has been seen as a link between the Gods and the Japanese people. 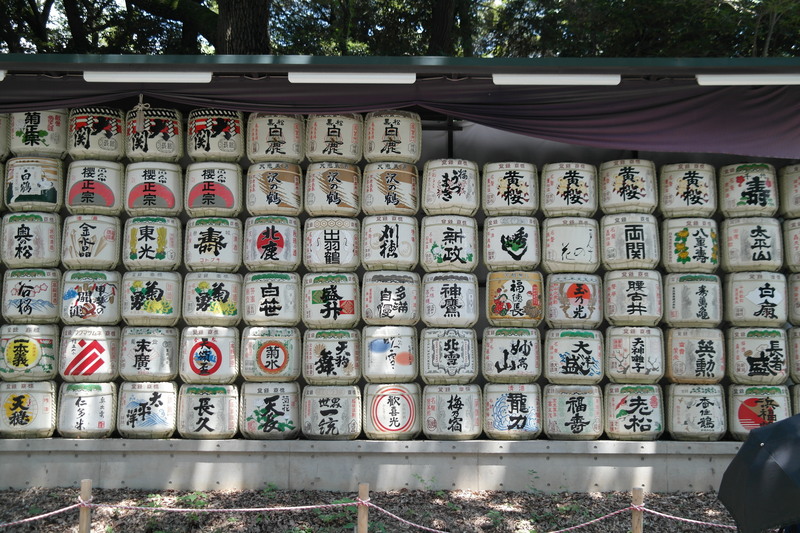 Barrels of sake are annually donated by various breweries to the Meiji-jingu, and are used in ceremonies and festivals. 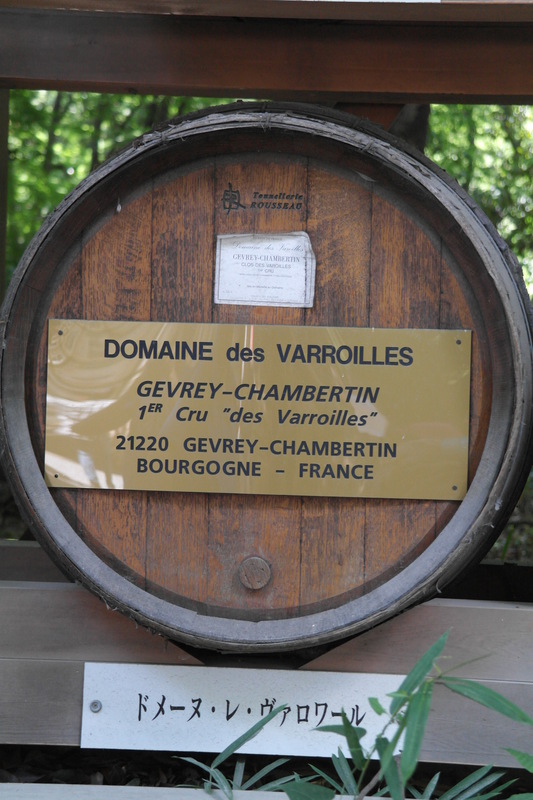 On the other side of the road, you find an equally impressive stack of wine barrels from wineries in Bourgogne, France, donated to be blessed by the Shinto shrine. A day filled with history and contrasts, but it is not over yet. 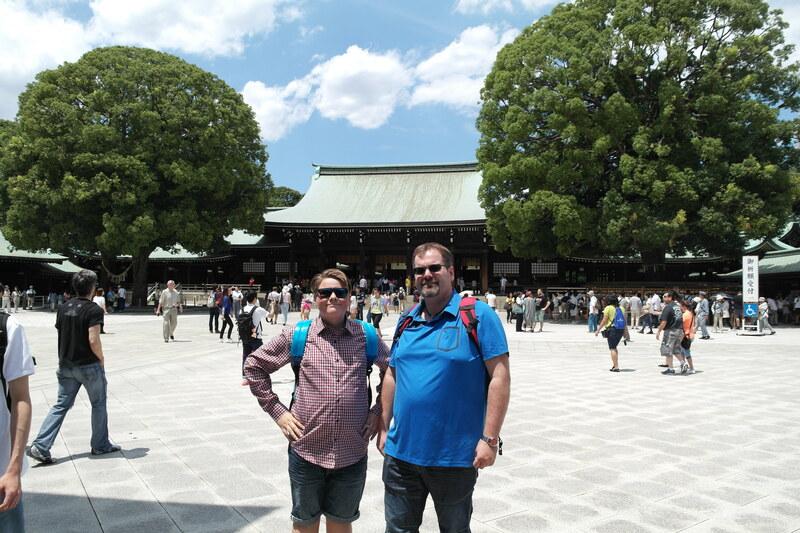 Stay tuned for some Manga-Mania in my next post in the Tokyo-series! What a delight to know more about Tokyo. Thanks for sharing. awe, thank you for your kind comment. Appreciate it! 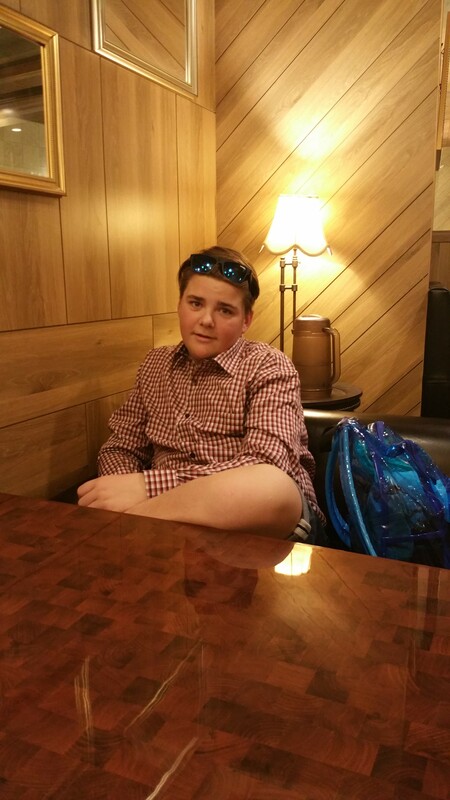 A fantastic post and you brought Tokyo alive ! 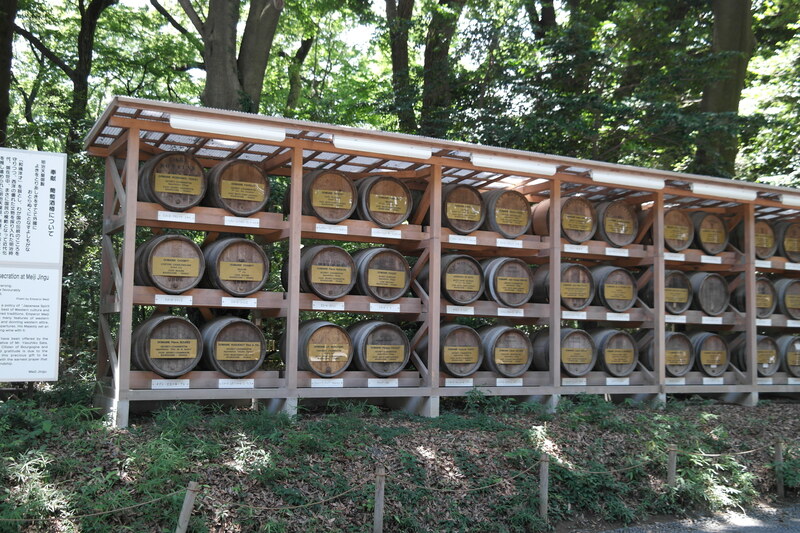 I loved the button story , the sake barrels and the photographs are awesome . Can’t wait to read your next instalment . Happy adventuring ! Thank you so much! Highly appreciated!